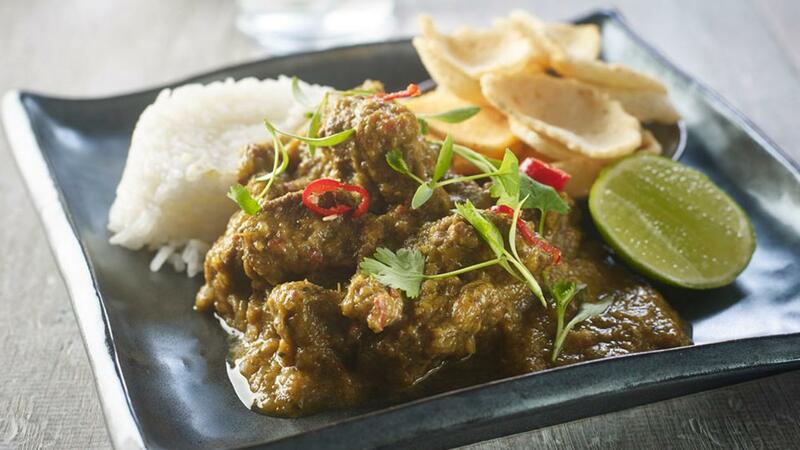 Rendang is a West Sumatran caramelised beef curry. Try the scratch version by Chris Barber or our simple alternative that helps you save time by maintaining the taste. Trim and rinse all the ingredients then blend together into a smooth paste. Adjust seasoning to taste then cover and chill (can be frozen) until required. Sear beef in a hot dry pan until golden coloured then add the paste and cook out over low heat for 5-6 mins. Pour in the coconut milk and stock, bring to simmer and add lime leaves and juice. Simmer for 2 hours or until the beef is tender in a closed pan then remove lid and boil rapidly until the liquid is almost all reduced.